← Degas – His paintings, his life. 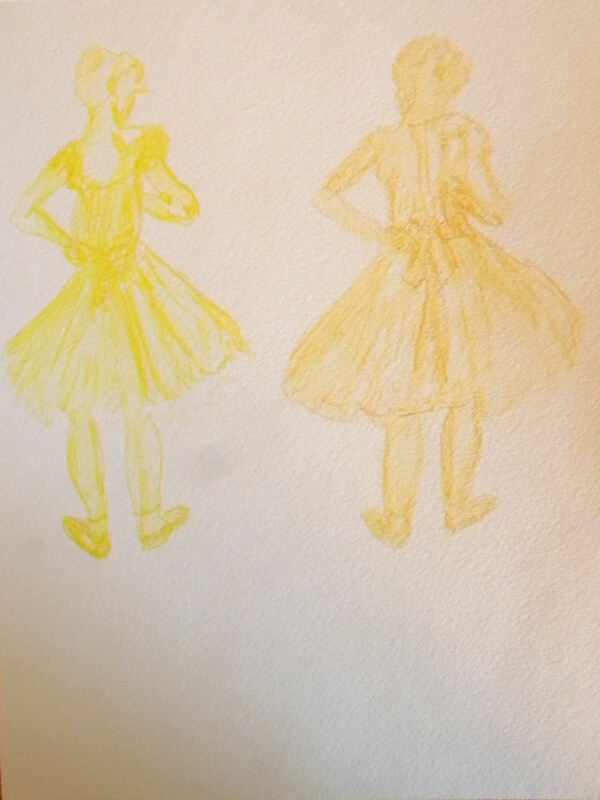 Here are the quick sketches I did a few days ago just eyeballing some of the Degas photos I was studying in a book I found at the library. 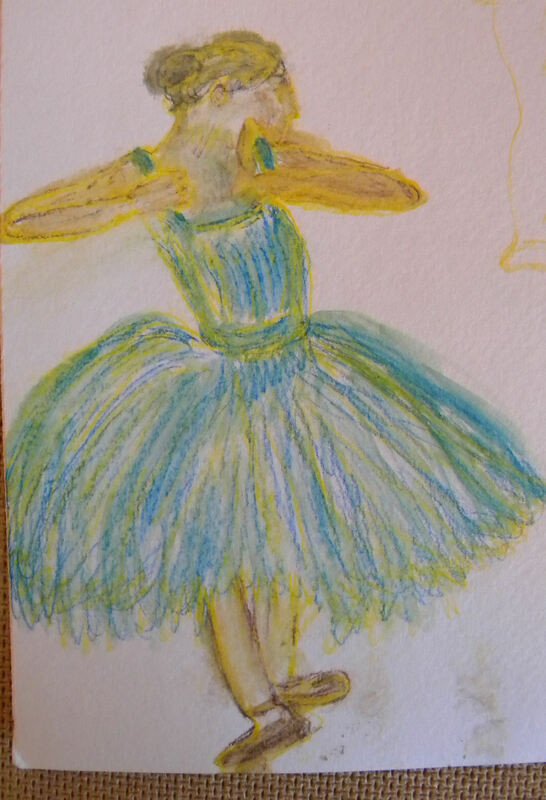 I used my Prismacolor Watercolor pencils. 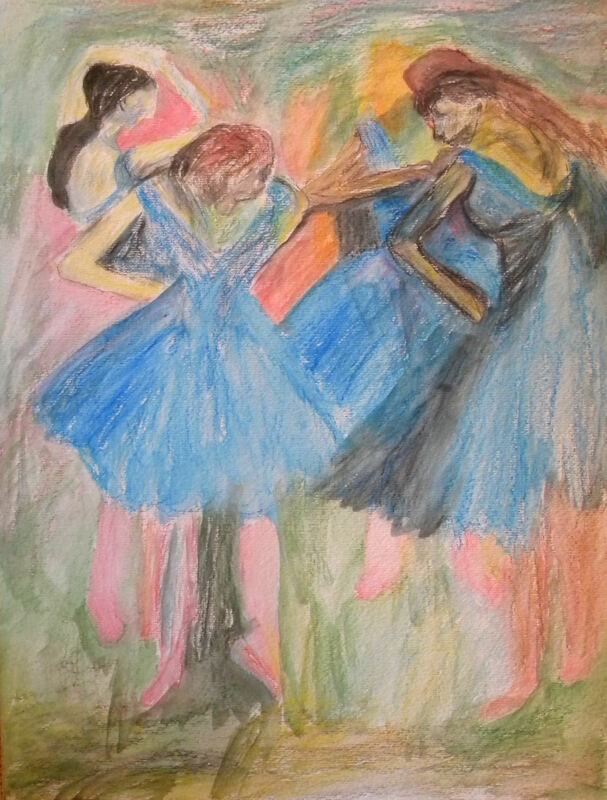 Posted on May 9, 2015, in Art Talk and tagged Degas, Degas Copies, Edgar Degas. Bookmark the permalink. 4 Comments. Very nice, Patsy! I love the colors in the first one. Happy Mother’s Day! Thanks, Jill. 🙂 I think it’s going to be a nice day! Thanks so much, Mary! I love all of your flowers you did. They are amazing! One of these days I want to do some more flowers, but I’ve been concentrating lately on learning how to draw the body….very challenging!